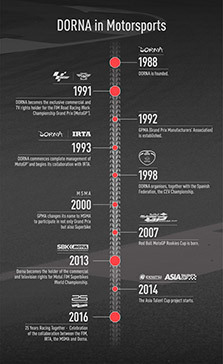 Dorna Sports is the exclusive commercial and television rights holder of the FIM Road Racing World Championship Grand Prix (MotoGPTM), along with the MOTUL FIM Superbike World Championship (WorldSBK), FIM Enel MotoE World Cup, FIM CEV Repsol, Red Bull MotoGPTM Rookies Cup, Idemitsu Asia Talent Cup y British Talent Cup.  The company was founded in 1988, and in 1991 took over the running of the MotoGPTM World Championship. 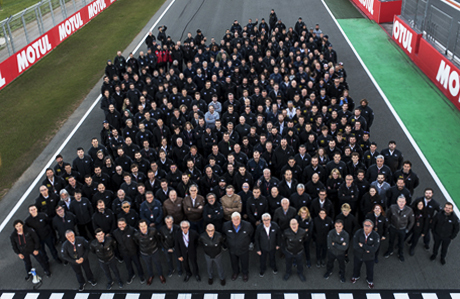 Based in Madrid, Spain, with subsidiaries in Barcelona, Rome and Tokyo, the sports management, marketing and media company has seen continued growth over the years, working closely with the governing bodies and expanding from its main focus on MotoGPTM to other leading motorcycle racing championships across the globe.  The expansion of its racing portfolio has helped create synergies across all championships in key markets around the world, aiding not only in the promotion and running of the events, but also helping to attract and develop new riders and manufacturers.  In addition to its motorcycle racing business, Dorna Sports also markets Ad-Time, a rotating LED advertising board system used in sports such as football (soccer), volleyball, baseball and basketball. Spain and Japan are its core markets. The company’s main shareholders are funds managed by Bridgepoint Capital and The Canadian Pension Plan Investment Board. 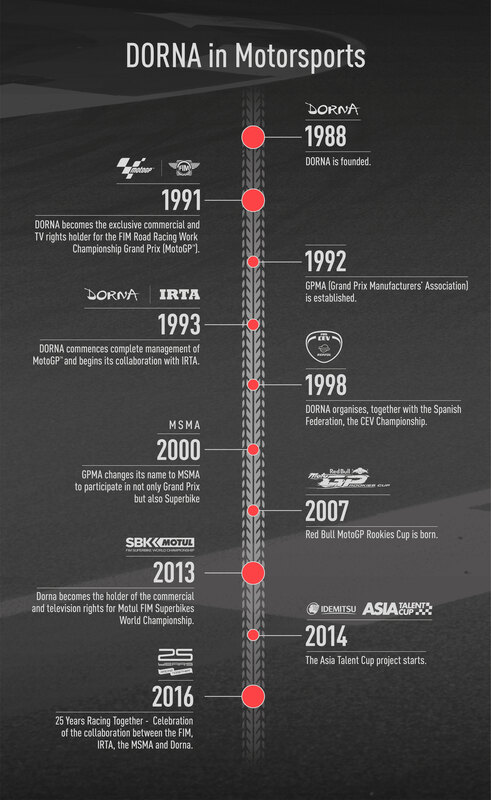 The core elements and values of Dorna’s championships are widely recognised by millions of fans. 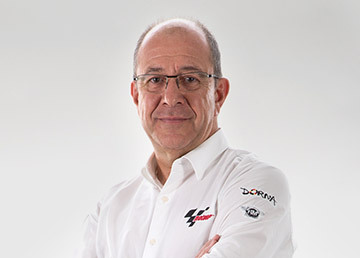 Dorna has not only maintained the passion and excitement of this historic sport, but has also brought in cohesion, structure and a sustainable business model to drive forward at an ever greater pace. 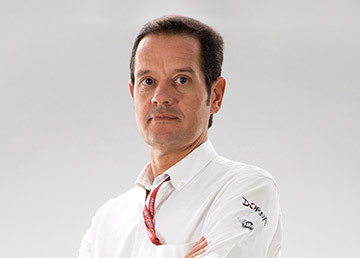 Dorna takes social responsibility very seriously, seeking to act for the benefit of wider society. Here the motivation is to maintain a sustainable balance between economic goals and the world’s natural ecosystems, whilst also seeking to improve the health of millions of individuals. 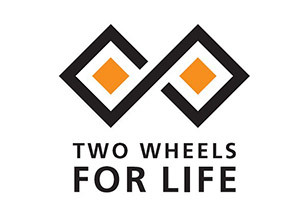 Two Wheels for Life, the official charity of the MotoGPTM World Championship, holds fundraising events around the world for programmes that enable health workers in rural Africa have access to reliable motorcycles and ambulances to reach even the more isolated communities. This has resulted in millions of people getting the lifesaving healthcare they need, often for the first time in their lives.  KISS is an enviromental programme launched by the Fédération Internationale de Motocyclisme (FIM), and stands for “Keep it Shiny & Sustainable”. 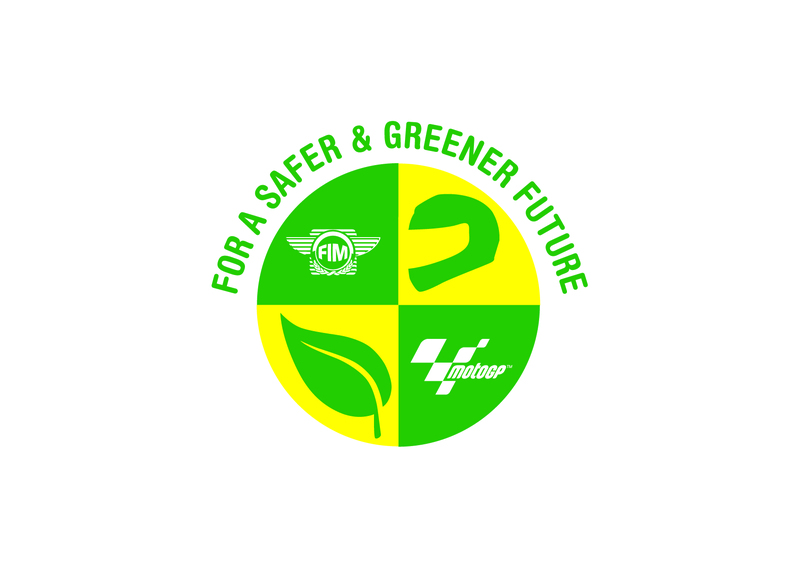 Its FIM Enviromental Ambassadors, Valentino Rossi and Marc Marquez, are among just some of the MotoGPTM personalities campaigning for a greener and safer race weekend. 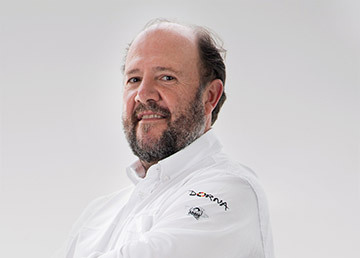 Supported by Dorna and IRTA, KISS aims to involve the public in initiatives that are both environmentally and socially sustainable. 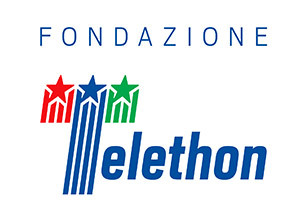 WorldSBK supports the Fondazione Telethon to assist with research into rare genetic disorders. 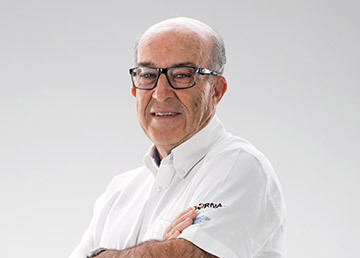 The MOTUL FIM Superbike World Championship has committed to support research by partnering with Fondazione Telethon in a number of initiatives.